Faces Lake Michigan with private entrance and patio. 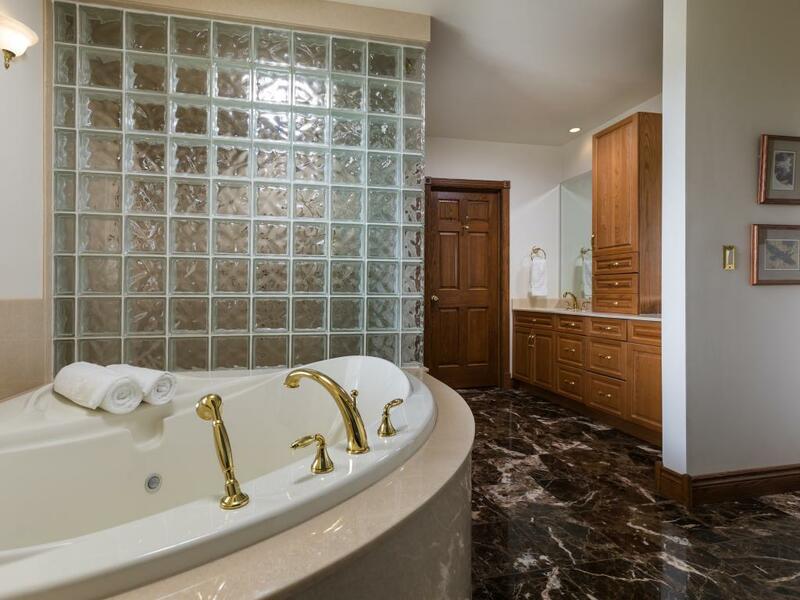 Spacious marble bathroom with walk-in shower and large airjet whirlpool. 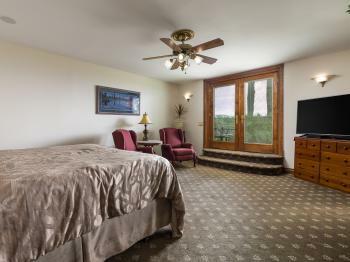 King size bed with ROKU TV. 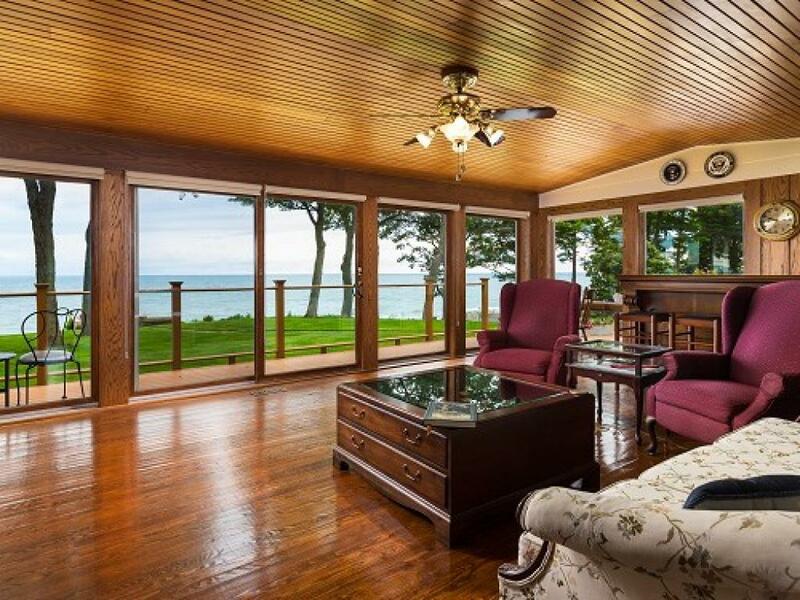 Limited views from inside. 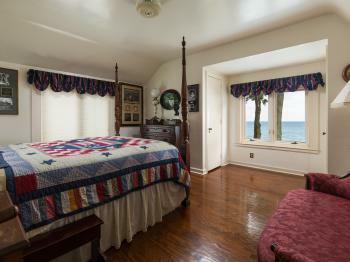 The President and Mrs. Ford have slept in this room. 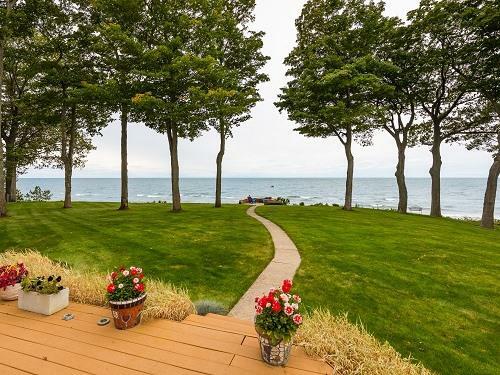 Has a southerly view of Lake Michigan. 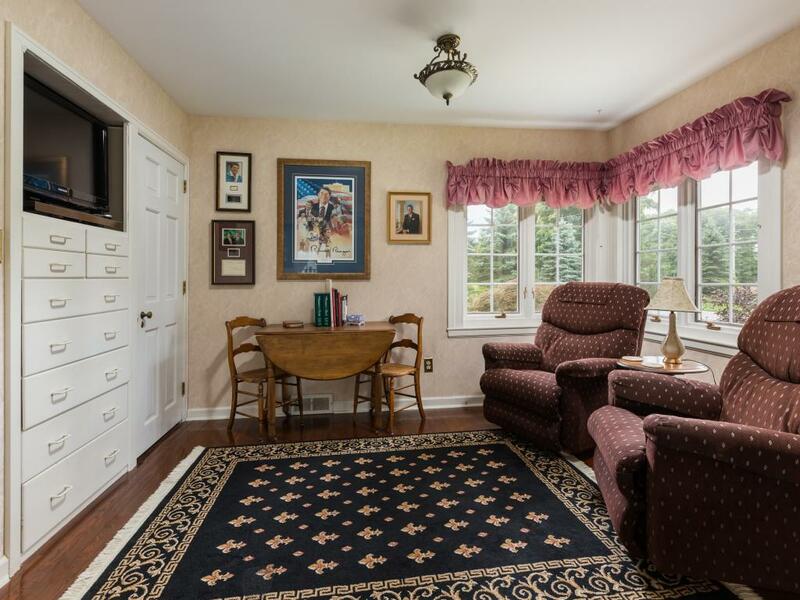 Adjoining sitting room has a TV/DVD, table and sofa. 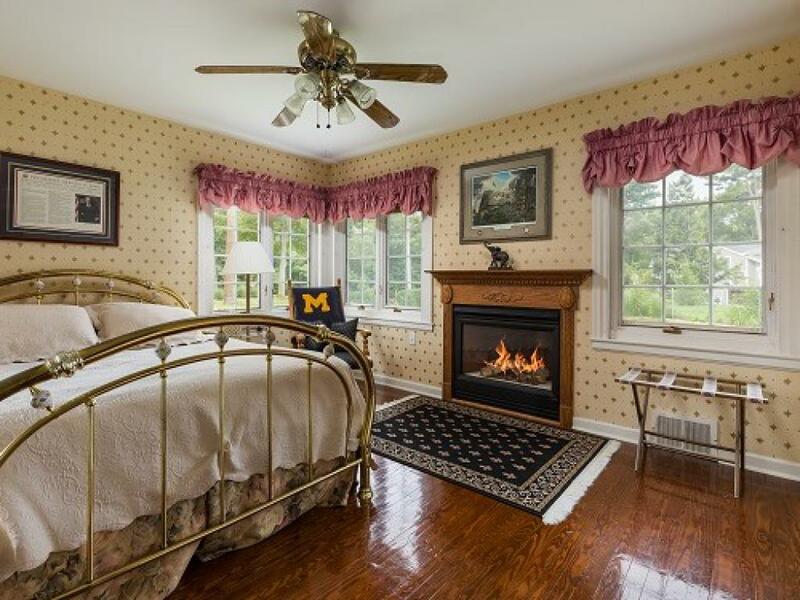 Has a brass queen bed and fireplace with private bath and a standard size whirlpool tub. 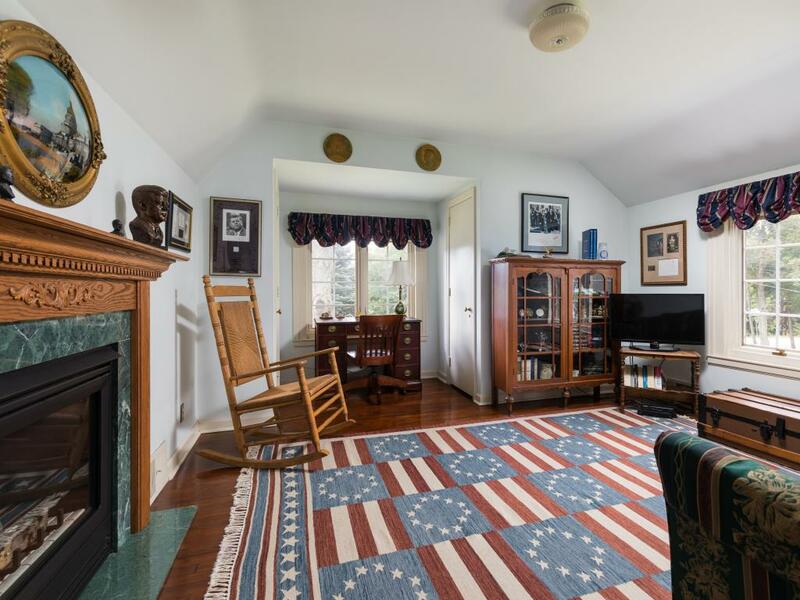 Indescribable views along with historic furnishings accent this upper level room. Offers a high four poster queen bed and has connecting sitting room with fireplace and a TV/DVD. 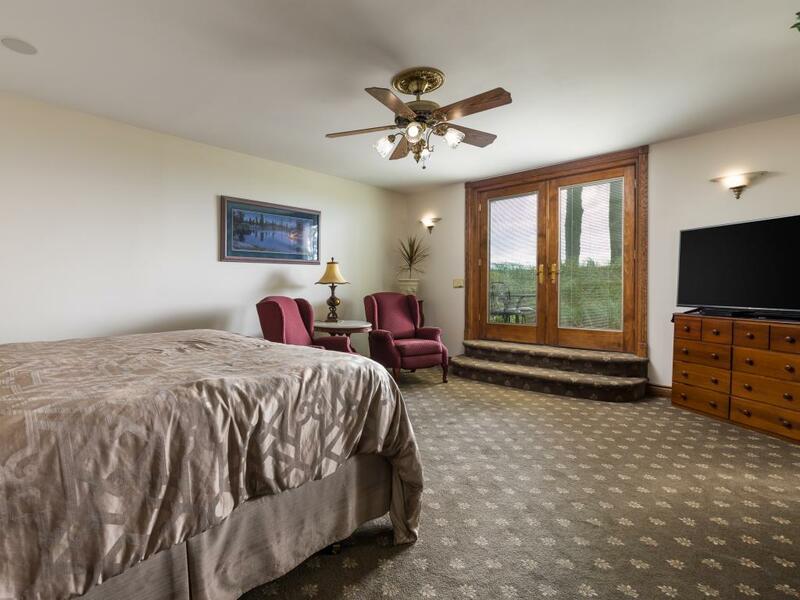 Has a private bath with a standard size whirlpool tub. 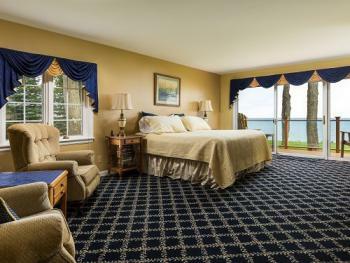 Our most spacious, luxurious guest suite with a panoramic view of Lake Michigan. 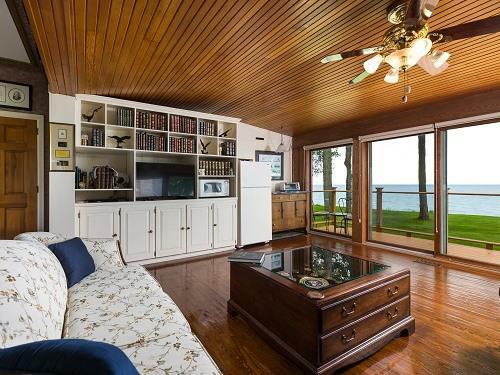 Stunning, romantic, with large jacuzzi, fireplace, shower with steamer and TV/DVD. 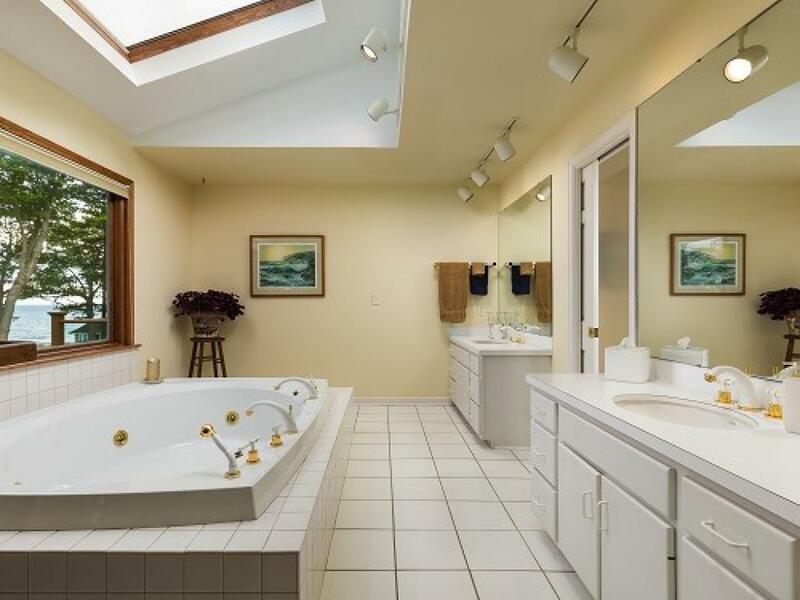 Sky light above jacuzzi. King size bed. Has private entrance with slider to deck. This fully restored 6,500 sq.ft. 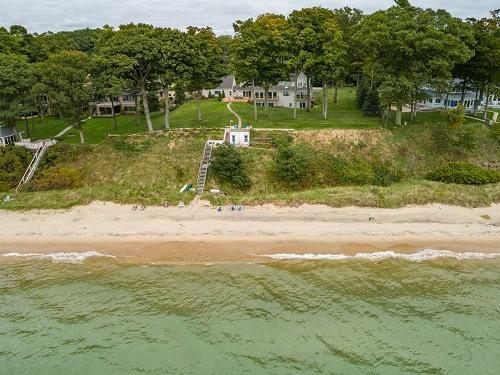 mansion was built in 1941 on 200 feet of private Lake Michigan beach frontage. 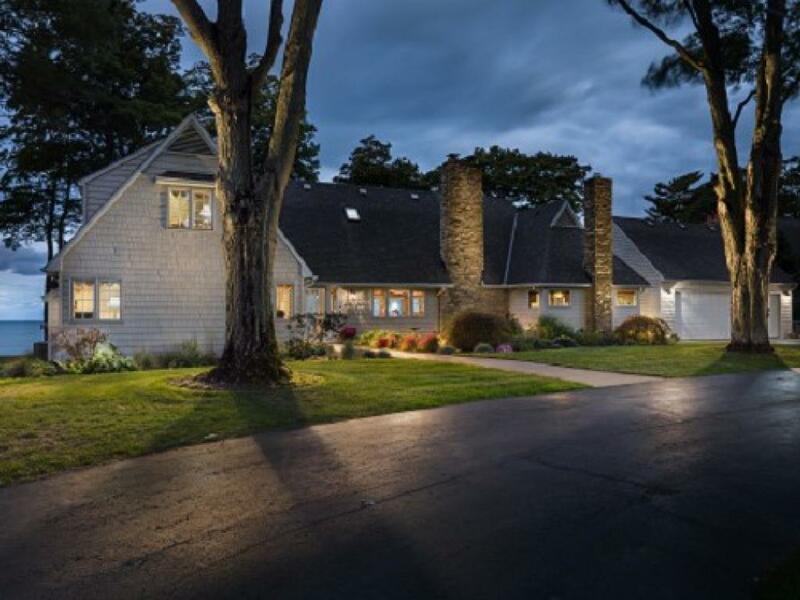 This classic estate exudes charm, style and ambiance too rich to describe. 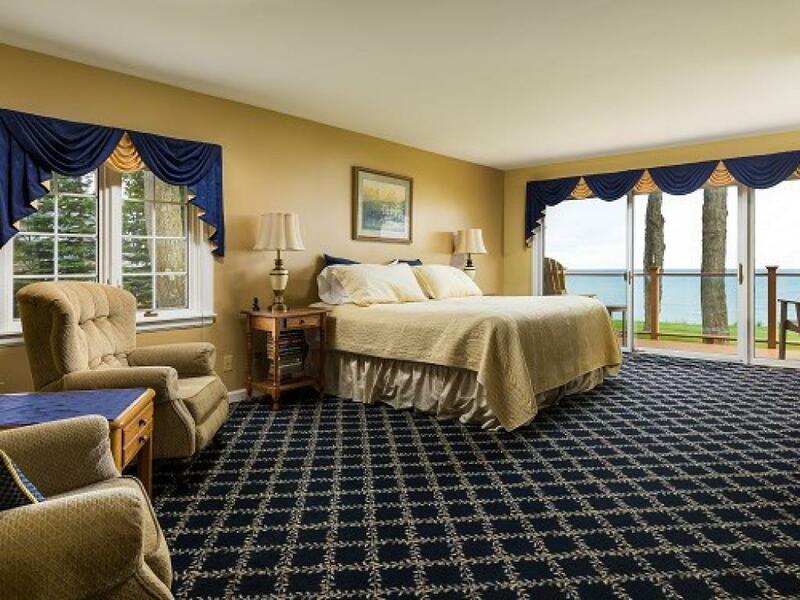 Lakeshore Inn is located just 180 minutes from Chicago/Detroit and 30 minutes from Grand Rapids. There are miles of bike trails and cross country skiing trails are numerous. One of two luge runs in the U.S. is located nearby. 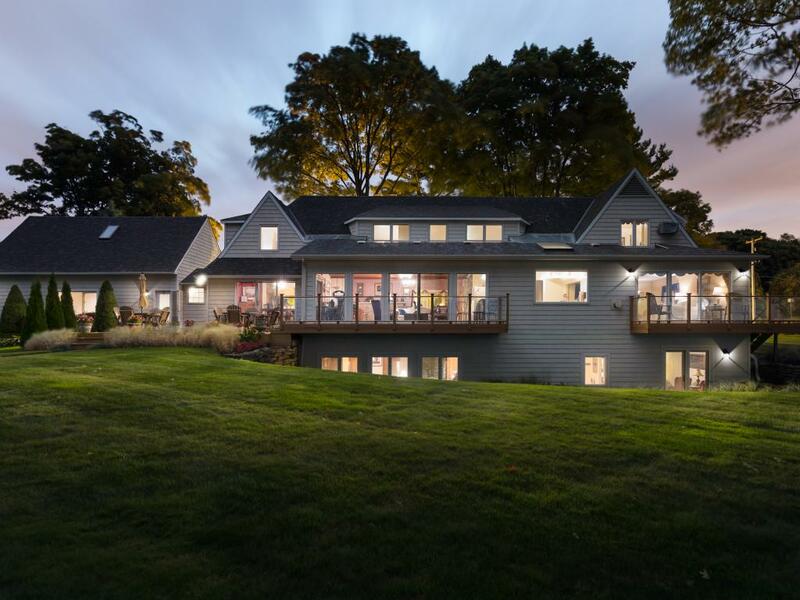 Opportunities abound for boating, golf, fishing, and much much more. 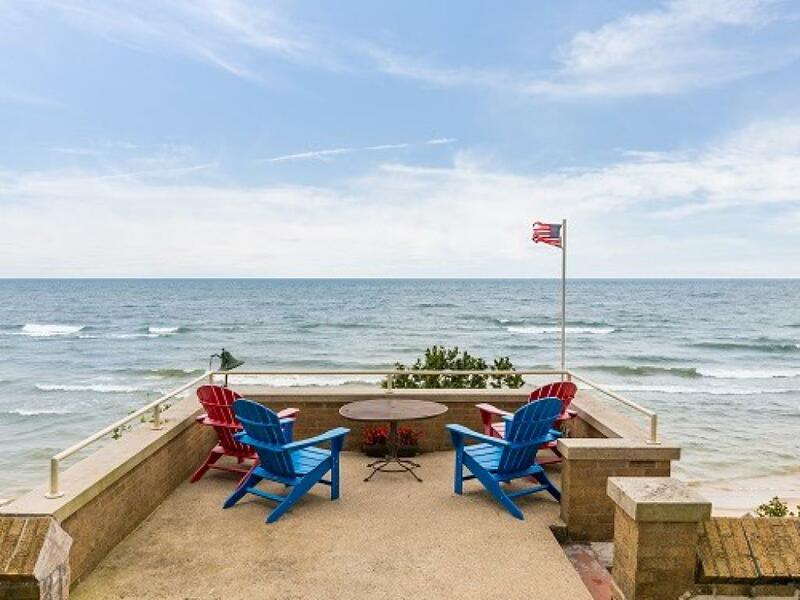 The many decks and spacious lawn offer unparalleled panoramic views from the Grand Haven Pier to Holland.